24.5 H X 11.75 W X 9.75 D.
Backed by rich industry experience, we are engaged in offering an excellent range of Wire Basket. The products offered by us is ideal for storing various vegetables and other food items, which is highly appreciated by the clients. This range comes in various design and sizes to meet the variegated requirements of our clients. 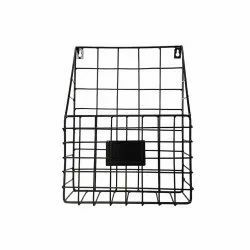 Keeping the diverse requirements of customers in mind, we are instrumental in providing Storage Wire Basket. 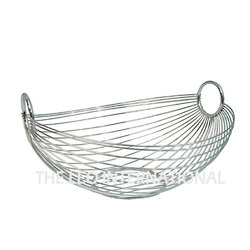 We are a remarkable entity in this domain, engaged in offering a qualitative assortment of Stainless Steel Wire Basket. We are Manufacturer and Supplier of Wire Basket. We provide our customers with wide range of products.